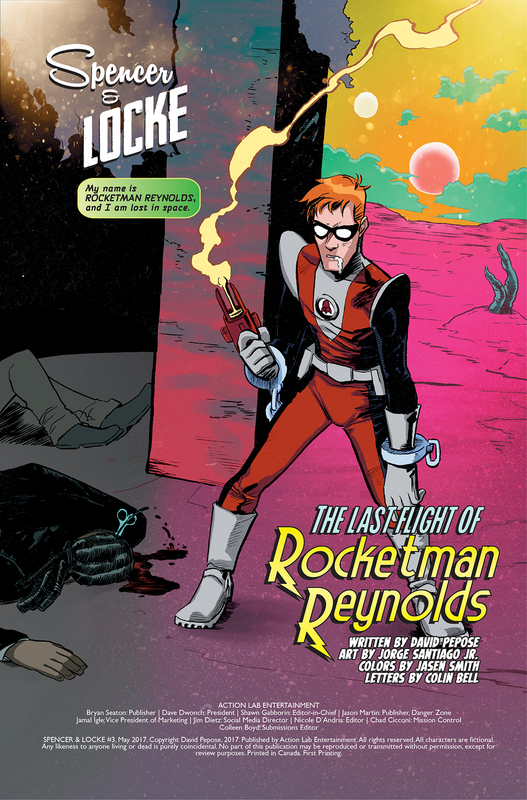 Cover by Jorge Santiago Jr.
… in Print on Aug 15th! 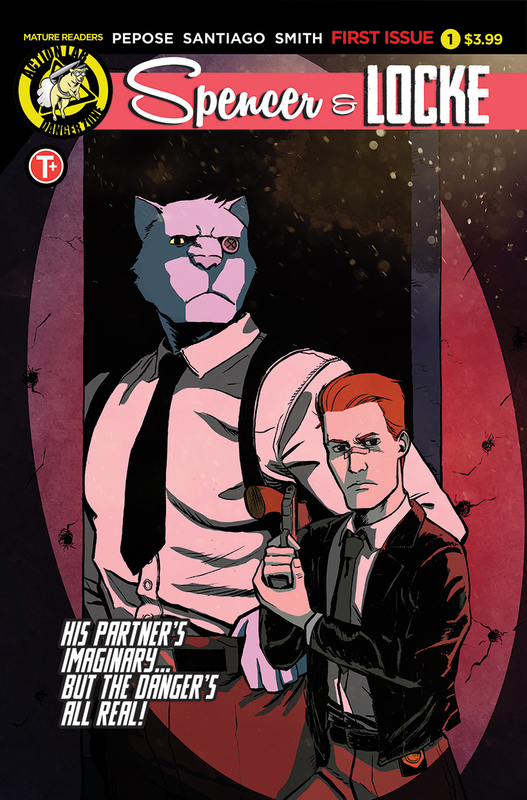 Collecting the hit mini-series, Spencer & Locke follows hard-boiled Detective Locke as he investigates a brutal murder with the strangest of partners — his childhood imaginary panther, Spencer. 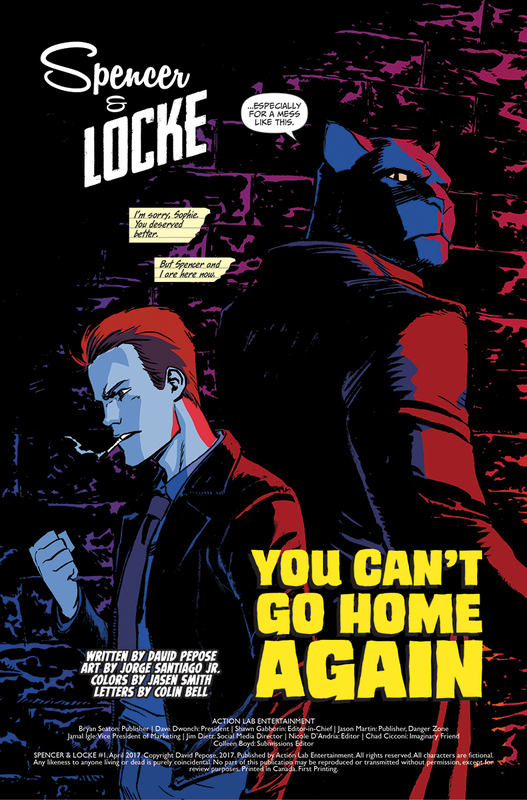 But when they face brutal gunfights, deadly car chases and memories of Locke’s traumatic upbringing, can this unlikely pair survive long enough to find the truth? Meet Detective Spencer. He’s an imposing, unique sort of law enforcement officer, using instinct and intuition over brawn to get the job done. Despite his rough and tumble exterior, deep down inside he’s just a big ole’ softy. And he’s a stuffed panther. 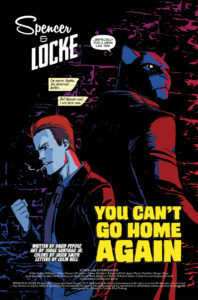 Meet Spencer’s partner, Detective Locke, a man struggling to make peace with a past he thought he’d left behind. 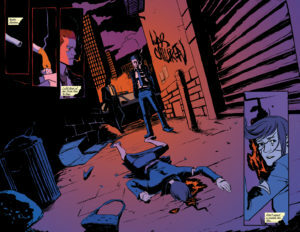 He’s been pulled back into the old neighborhood, somewhere between Sin City and Iraq, to investigate the murder of Sophie Jenkins. This is a personal case for Locke, as Sophie was one of the few good things he can remember from his childhood. Now a school teacher, Locke’s old crush has become the latest victim to the corruption and decay in which they grew up. 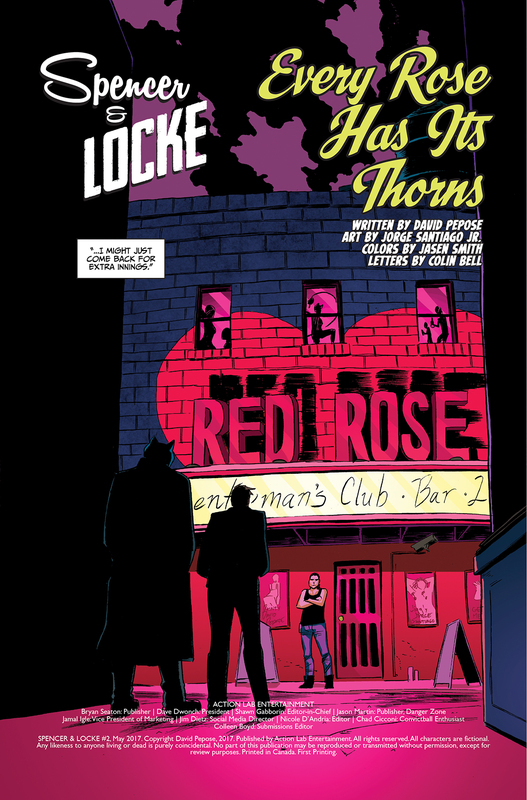 With Spencer at his side, Locke will shake the pillars of Hell to bring her killer to justice. 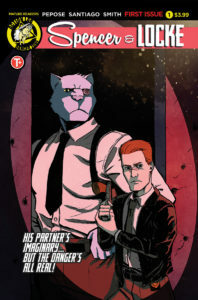 I’ve previously reviewed individual issues of Spencer & Locke (you can read the first review here if you’re so inclined), so if you’re one of the ten people who follow my reviews (thanks, Mom) it can’t be a surprise to know that I’m a fan. 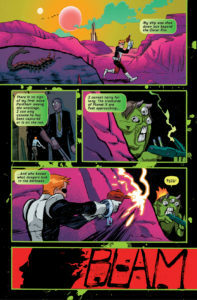 I was impressed with the whole concept of Calvin & Hobbes in Hell when I read the first issue, and I’m still impressed after reading the story all the way through again. 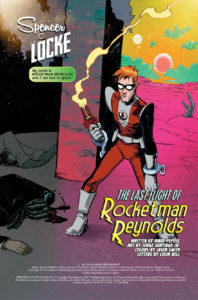 At first I was a little worried about what it said about me, that I could take so much entertainment from the warping of a couple of my favorite comic strip characters, and to be honest I was a little concerned about David Pepose himself… The story doesn’t just get dark. It gets DARK, covering themes of child abuse, molestation, drug use, and abduction. Um, no, this isn’t a book for kids, and it’s not about Calvin himself, all grown up and carrying on. 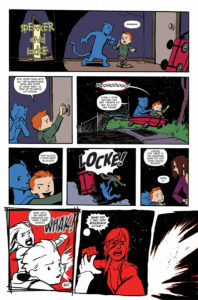 It isn’t a follow up tale, picking up after the “Tragedy in Four Panels” showing the effects of Calvin taking Ritalin. 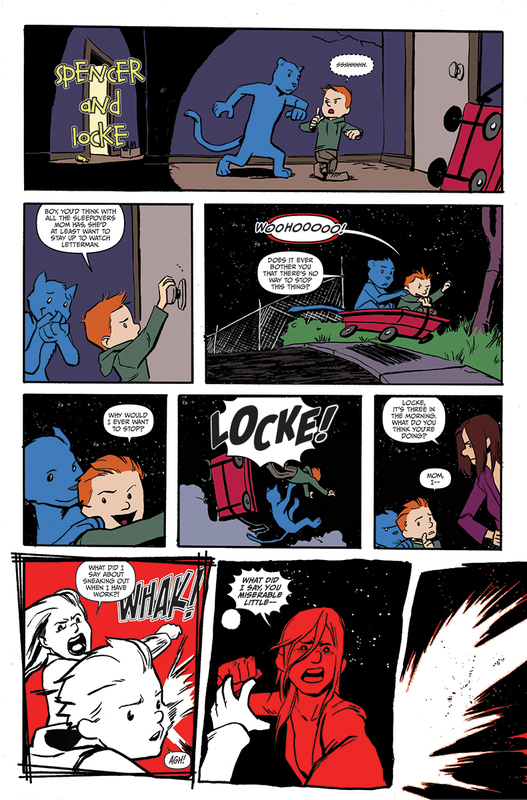 This is a story that takes the formula of an idyllic childhood, created by the great Bill Watterson, and spins it out into a tangled web of trauma and truly messed up coping mechanisms. Locke did not grow up with Calvin’s parents. His childhood wasn’t one of whimsy and daydreams. Locke’s formative years were a veritable horror show of abuse, and his life of make believe was the only escape available to him. When Locke acted up, his mother (dad was never around) skipped past the parental indulgence, right on into the beatings. 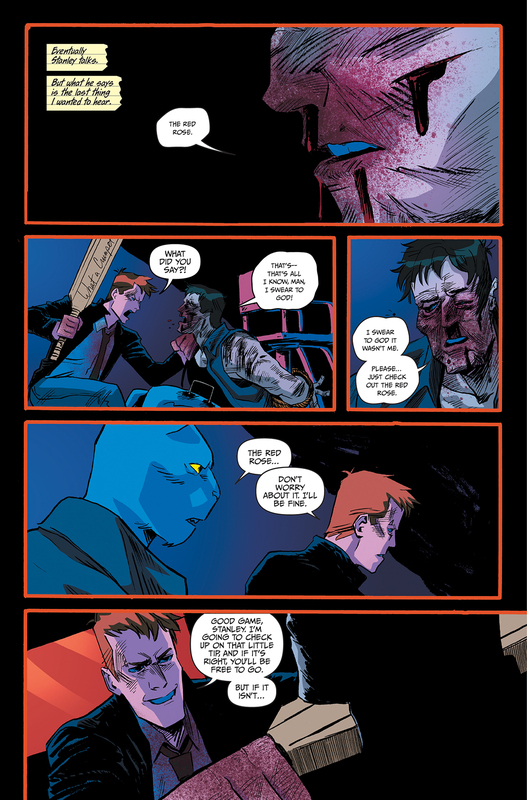 Where Spencer & Locke gives the reader a chance to question whether or not Spence might actually be real, what we’re actually forced to wonder is just how deeply Locke’s own psychosis goes. I’ve read an article that completely trashes Spencer & Locke, accusing it of pandering to nostalgia addicted syccophants. First of all, regardless of what a reviewer might write about a thing that they took no effort to create or send out into the world, it’s important to remember that it’s the opinion of one. Personally, I’m not all that happy with the label of “reviewer”, and I don’t think that you’ll ever see me post a bad review. If a title doesn’t get me, I just don’t do that review… and believe me, there have been some truly and epically dissappointing books I’ve been tempted to break that rule for. 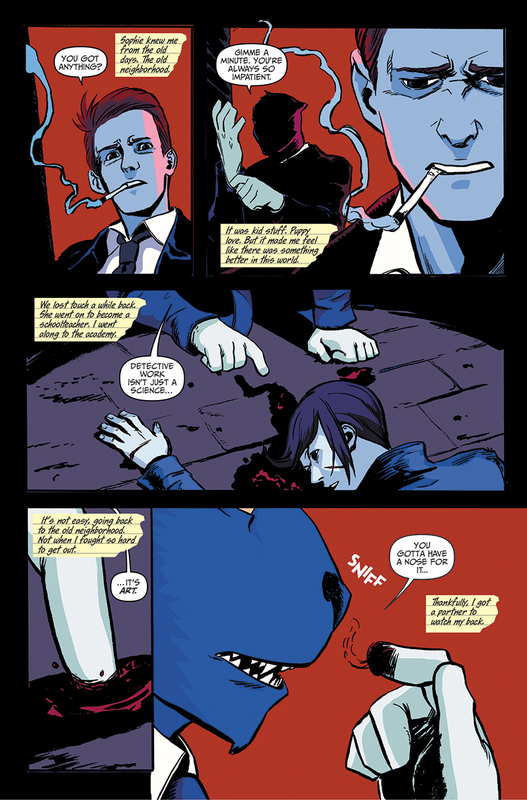 Second, to the idea of Pepose and Santiago doing nothing more than playing up to the fans of Calvin and Hobbes… well, I’m not really sure that person actually read much Calvin & Hobbes, or Spencer & Locke. 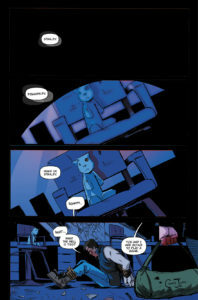 They exist in two very different worlds, and any sense of inspired nostalgia- particularly in the panels where Santiago beautifully mirrors Watterson’s style- dies a gasping, gut churning death when the story snaps back to Locke’s reality. Spencer & Locke, while being a nod to a couple of David Pepose’s favorite things (by his own admission, Frank Miller is one of his inspirations… go ahead, ask him about his attempt to get to meet him at C2E2 2017), is something totally different. By springboarding off of what’s come before, using it to drive home the impact that sits behind a violent crime noir, Pepose and Santiago have made something original. 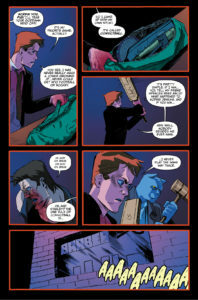 Kudos to Action Lab for putting it out there, and a big congratulations to the boys for having Spencer & Locke brought to animated life (details to come)!